luveleappliances has no other items for sale. 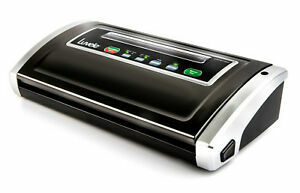 Using just 130 watts, the Luvele LSVS130G Supreme Vacuum Sealer can be used store a wide variety of foods. Awesome little unit. 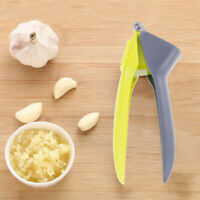 Does a great job and allows different sealing settings. Super quick postage, well packaged and good sturdy unit. Bought this model from luvele for food storage and sous vide and really happy with how it performs. Bag cutter and roll storage is super convenient and suction is strong. Also I'm a big fan of the moist food setting. 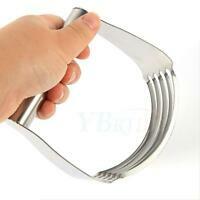 Very easy to use and great features makes it a hit with the wife too. Included bags are great quality too and I really like that they can be put in the dishwasher. 5* item, top service and a great price - definitely recommend. I bought this sealer as part of a cooking experiment using sous vide. The machine is flexible, with different. easy to make, food safe bags to suit the various items I cook and seal. It offers options with the sealing methods and I am finding it ideally suited to my needs. The costs of replacement bags is more than might be expected but the costs are offset by the flexibility and savings with food storage. I am very happy with this machine it has great features. I like the roll storage and cutting bar which is a built in feature, so handy to use. The machine is light weight and easy to use. I have been happy to recommend this product to others. Delivery and communication were second to none, highly recommend this Australian company. The vacuum sealer is simple to use, instructions are very clear and easy to follow. I love this machine, I use it for freezing meats, baking, cheeses. Can't wait to try out the speedy marinades. I have saved so much food waste in such a short time, hence saving money too!! It has also helped me get more organised for the weekly menu :) I purchased the Luvele vacuum sealer as I read high recommendations on productreview.